“The ingredients that make a good doctor are the same today as they have always been. Those ingredients are a total commitment to and excitement about what you are doing and a focus on the patient, from people who are compassionate, for whom helping others is of paramount importance. You have to be willing to work hard and for long hours to achieve that, and who have curiosity. That of course, is something that is hard to teach,”said Dr. David Diamond ’70. Dr. David Diamond has committed more than three decades to the practice of medicine. His excitement and resolve for helping patients is as strong today, as it was when he was a medical student at University of Rochester School of Medicine and Dentistry. And his curiosity for his craft is a defining characteristic of his education and career. 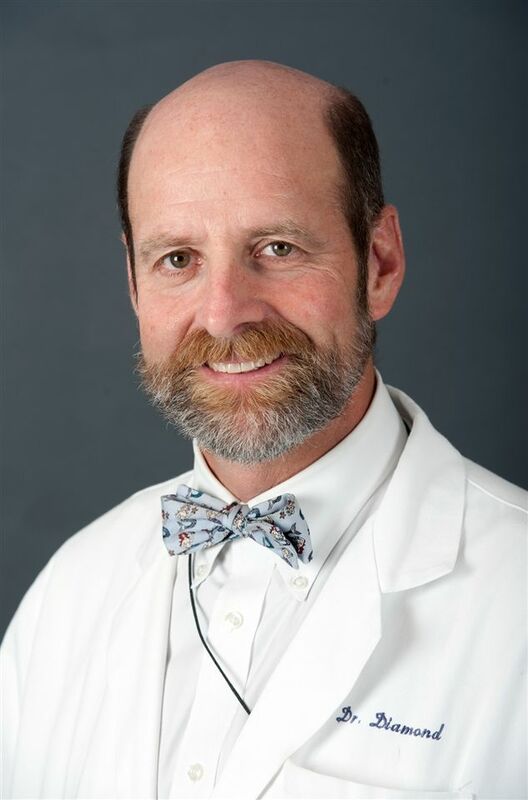 Today, Dr. Diamond is the Alan B. Retik chair and professor of surgery at Harvard Medical School; urologist-in-chief at Boston Children’s Hospital (ranked #1 by U.S. News and World Report in urology); and associate clinical ethicist at Boston Children’s Hospital. His specialties include pediatric urology, minimally invasive surgery, robotic surgery, gender management services, and disorders of sexual development. When he entered the University of Rochester School of Medicine and Dentistry in 1974, Dr. Diamond was one of only ten students in his class whose undergraduate degree was not in the sciences. He earned his Bachelor of Arts degree from Princeton University in philosophy, and originally intended to study psychiatry. During his third year of medical school, Dr. Diamond completed a circuit of major rotations: psychiatry, medicine, pediatrics, surgery, and obstetrics and gynecology, in order to gain exposure to all of the major clinical specialties. “I scheduled surgery for my last rotation of the year, because I knew I didn’t want to be a surgeon,” Dr. Diamond said with a chuckle. It was the team approach to surgery, the work ethic of his instructors, and the satisfaction that comes from helping patients that attracted Dr. Diamond to make an enormous shift in his plans. The rotation proved to be a turning point that ignited his excitement for his career in surgery. After earning his medical degree with specialization in surgery, Dr. Diamond earned a surgical internship at the University of Vermont. He went on to gain residency at Johns Hopkins University. It was there that he worked with Dr. Robert Jeffs, a pre-eminent pediatricurologist, whose mentorship, example, and instruction helped to map the course for Dr. Diamond’s career. Following Dr. Jeff’s example and advice, Dr. Diamond began specialization in pediatric urology and went on to fellowships at Alder Hey Children’s Hospital in Liverpool, England as well as the Great Ormond Street Hospital in London, England. Following his fellowships, Dr. Diamond took a position at University of Massachusetts Memorial Medical Center in Worcester, Massachusetts where he began to build his practice. He moved on to Boston Children’s Hospital – a world-renowned teaching and research hospital – in 1996. In 2001, Dr. Diamond was asked to serve a three-year term on Boston Children’s Hospital Ethics Advisory Committee, as its only surgical representative. By taking part in regular conversations concerning the ethics of surgery, Dr. Diamond rediscovered his enthusiasm for discussing complex topics in a philosophical and reasoned manner. He went on to complete a one-year fellowship at Harvard Medical School’s Center for Bioethics. Upon his completion of the fellowship, he was named the associate clinical ethicist by Boston Children’s Hospital. In that capacity, he continues to work on the Ethics Advisory Committee as a permanent member, where he adds a knowledgeable and thoughtful voice to dialogue concerning the best practices for patient treatment and care. Dr. David Diamond '70 is the Alan B. Retik chair and professor of surgery at Harvard Medical School; urologist-in-chief at Boston Children’s Hospital (ranked #1 by U.S. News and World Report in urology); and associate clinical ethicist at Boston Children’s Hospital.